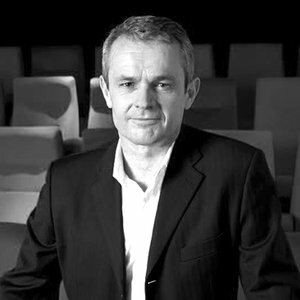 Simon Rees joined DCM in May 2011 with a mission to drive forward the role of cinema in the media mix through technological innovation and the big screen’s ability to captivate audiences in its immersive environment. As the UK leader in cinema advertising, DCM, owned by Cineworld & Odeon accounts for an 80% market share, representing clients such as Vue, Cityscreen and a further 150 independents. Over the past year, Simon has spear-headed DCM’s Digital Transformation, introducing faster and more flexible ways of selling, scheduling and distributing cinema advertising to the media industry. Prior to DCM, Simon held Chief Executive/Managing Director posts at media giants Mindshare and Carat, as well as the digital outdoor specialist Avanti. Cadbury’s high profile ten-year sponsorship of ITV’s Coronation Street was secured under Simon’s tenure at Carat. At Mindshare, Simon managed the merger if the Network/Ogilvy and JWT Media. Simon is a keen sportsman and a former national hockey player. Outside of media he is the Chairman of the international mental health charity, BasicNeeds.